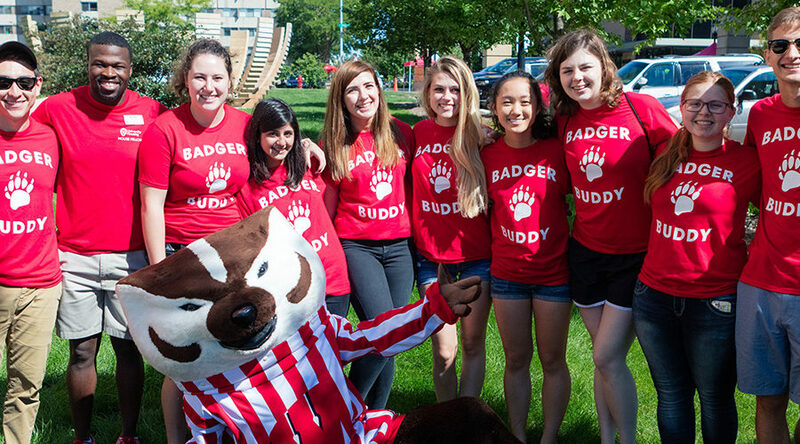 Join over 7,500 fellow Badgers and live with Bucky! 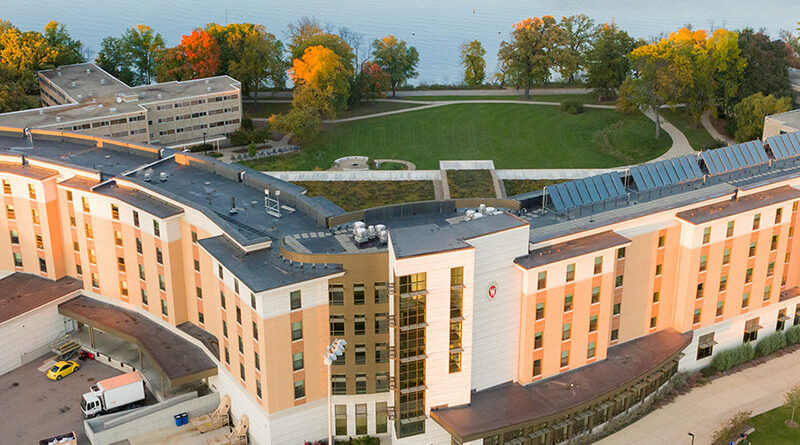 University Residence Halls are more than just “dorms” or places to live. 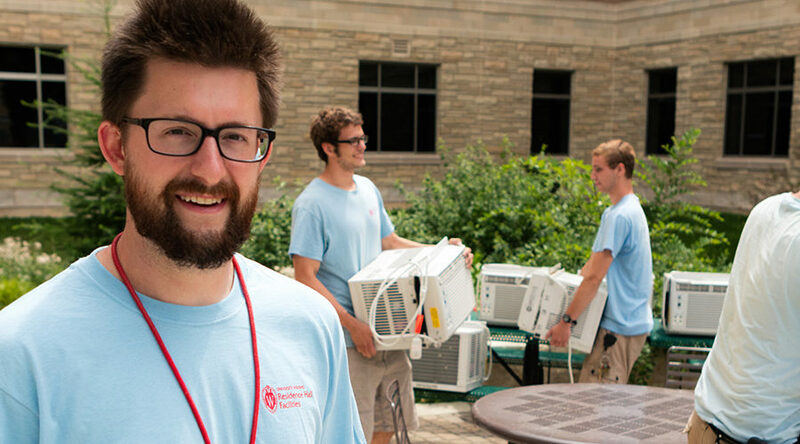 They are unique communities full of resources, support, convenient services, events, and thousands of fellow Badgers. They’re an environment built for your success. 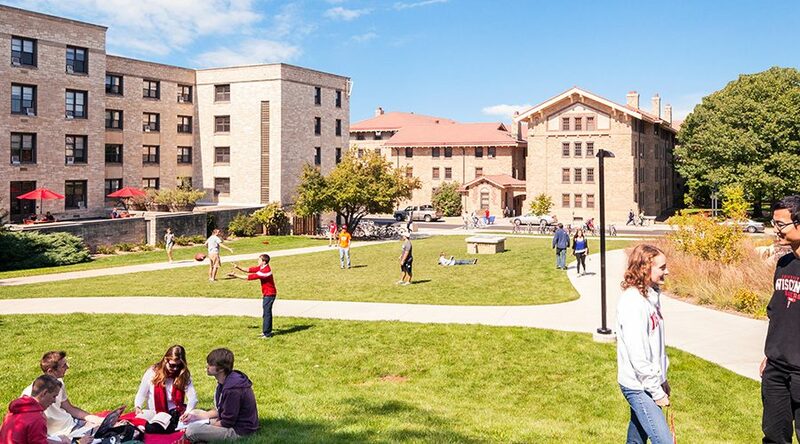 We offer 19 residence halls, including 10 learning communities, spread across two distinct neighborhoods. And we offer some of the lowest on-campus housing rates in the Big Ten. 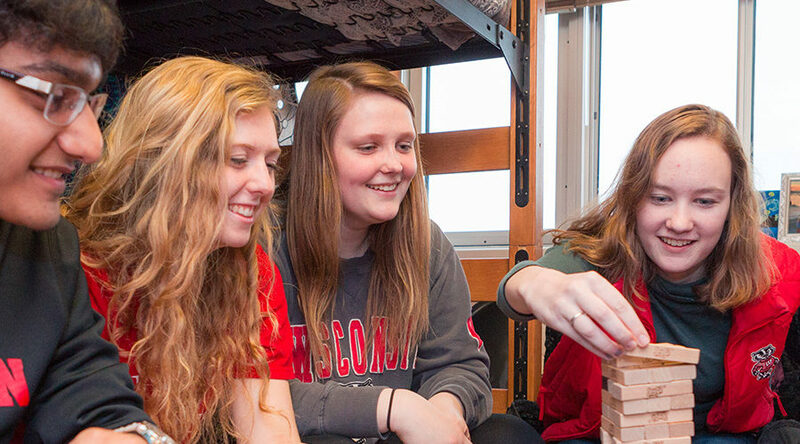 Each year, over 90 percent of the freshman class chooses to live with us so that they can jumpstart their Wisconsin Experience, and many return for their sophomore year and beyond. Each residence hall varies in terms of appearance and population. Our smallest residence hall is home to 30 residents, while our largest is home to 1,152 residents. Regardless of the size, your residence hall will consist of “houses.” A “house” is simply a group of residents that live together, which could be a floor, wing, or entire building depending on the population. Your “house” also has a “house fellow,” which is a live-in student staff member (similar to a resident advisor, or R.A.), there to plan fun events, offer advice, and help you throughout the year. 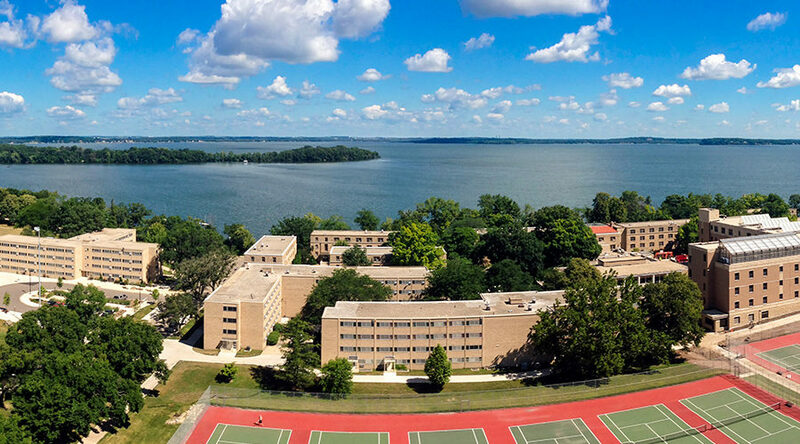 Learn about each of our 19 residence halls with photos, comparisons, room info, and tours. Elevate your experience by living in one of our ten learning communities. Learn how to apply, view your contract, and manage your room assignment. View rate information and manage your payments and deposits. 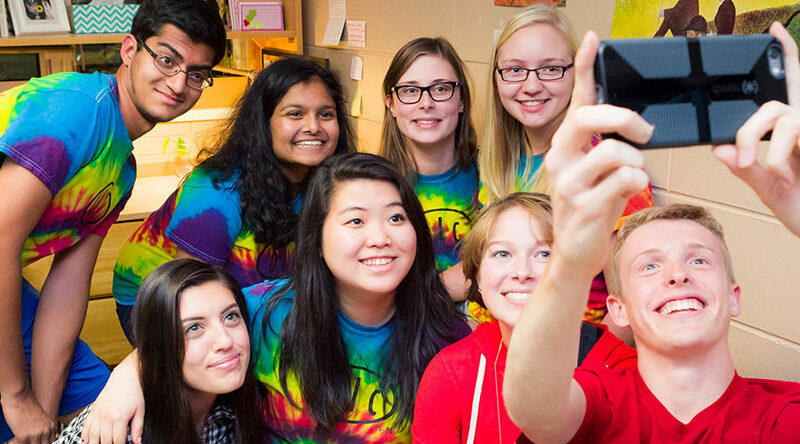 Get the most out of living on campus with events, involvement, and supportive staff. Take classes right in your hall, and benefit from advising and tutoring sessions. Enjoy the convenience of hall desks, high-speed internet, TV, laundry, and more. Get details about move-in and move-out dates, parking, and break periods. Find links to maintenance requests, food menus, and everything a resident needs. Every spring semester we host a competition to find the best-decorated room in the residence halls. Start planning how you’ll win this spring’s contest now and see how you stack up against the competition in past years!